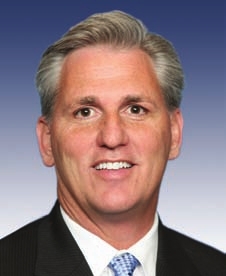 "Rep. Kevin McCarthy (R-Bakersfield) submits his weekly view from Capitol Hill. "California has always been a leader in energy development, production and technology. The oil we produce right here in Kern County accounts for over 80% of California’s total - one tenth of all U.S. oil production – and we are leaders in wind, solar, and geothermal technologies. But under the Obama Administration’s failed energy policies, we’ve fallen behind. As gas prices soar past $4.00 per gallon locally, we can see that we desperately need an energy agenda focused here in America. The day President Obama was inaugurated in January 2009, the average price of gas was $1.84 per gallon. Today - after this Administration’s three-year-long war on domestic energy - the national average for a gallon of gas has more than doubled to $3.90 per gallon, with no signs of letting up. Hardworking American families can’t afford more economic hardship coming from an Administration that seemingly prioritizes the interests of political allies and special interests over taxpayers. From canceling important offshore leases to gambling billions of taxpayer dollars on politically-connected companies like Solyndra to vetoing the Keystone Pipeline, this Administration claims to support all-of-the-above energy strategy but pushes none-from-below policies that have placed a tremendous financial burden on American families and small businesses, impeding our economic recovery. I believe the way to address our current energy challenges is by producing energy here in America. That is why this week, I introduced a new set of pro-growth energy initiatives that will help grow our economy, create American jobs, and lead us to energy independence. My House Republican colleagues are fighting for these critical legislative steps that will address rising gas prices, unshackle our domestic energy resources for environmentally sound oil production, and create a friendlier regulatory environment for innovative renewable and alternative energy technologies. This energy policy package includes measures to freeze job-killing regulations the Obama Administration has slapped on refineries, expedite responsible oil and natural gas production permitting on federal land, and remove the bureaucratic red tape that hampers domestic production. A true all-of-the-above energy strategy, this plan will help increase production and supply to bring fuel costs down, spur economic growth and create jobs here at home. Vice President Biden recently said that Democrats’ energy policy is “the best it’s ever been.” I disagree, and I invite the Vice President and Congressional Democrats to consider these new House Republican energy initiatives, and also the six bills currently lying dormant in the Democratic-controlled Senate that would help stabilize the price of energy and put Americans back to work. "We have the opportunity to be the world’s energy leader. Kern County has always played a central role in energy production in our state and in our nation. I will continue fighting to secure America’s energy future and Kern’s leading role in traditional and alternative energy development and production. By choosing to maximize the abundant natural resources that are available to us in a responsible, effective way, we can put America on a path to energy security and lasting economic growth. Get ready for the Amgen Tour of California and who was the woman stealing the snap dragon from the gas station? * ... AMGEN: I stopped by Rabobank Arena earlier this week for the kick off reception of the Amgen Tour of California bicycle race coming in May. Kerry Ryan, owner of Action Sports and one of the key drivers in getting this prestigious race back to Bakersfield, predicted 30,000 people will line the Panorama bluffs to watch the May 17, State 5 time trial showcasing some of the world's best cyclists. Spotted in the crowd were Rabobank's Andy Peterson, local attorney and cycling booster Jay Rosenlieb, City Manager Alan Tandy and wife Kate, City Councilman and supervisor candidate David Couch, Memorial Hospital's (and city councilwoman) Sue Benham, City Councilman Harold Hanson, KBAK TV sales manager Scott Meeks, Action Sports' Sam Ames and wife Andrea, City Councilman and State Senate candidate Rudy Salas, KBAK reporter Keisha Courtney, and David Lyman of the Convention and Visitor's Bureau. * ... SPOTTED: Gail Oblinger submitted this eyewitness account of some really bad form about town. "The gas station at the corner of Mt. Vernon and University has flowerbeds filled with a lovely selection of spring blooms. While passing in my car Sunday, I noticed a woman bent over with her hands in the flowers and I thought. 'What a shame, she looks like she is picking some.' After I had finished my errand and drove back down the same way, there she was walking along the street. It was worse than I had thought. She had not picked some flowers, she had completely dug up a good sized, yellow snapdragon plant, and was carrying it upside down by the root ball!" * ... OVERHEARD: At Trader Joe's recently an impatient woman is heard complaining to her boyfriend about the customer in front of her: "The woman is writing a check and it's taking forever! Nobody writes checks anymore!" * ... LAST WISH: This may be highest compliment if you own a restaurant. The Home Depot Rosedale taco stand, owned by Yvonne Torres for the past three years, is well known for its chile verde. But not even owner Yvonne Torres could dream it might be a dying man's last wish to dine on your chile verde. Torres said she was approached at her taco stand by a strange woman recently. "She had been crying and said her father was dying... in the morning her father had Pappy's for breakfast, for lunch he wanted Cafe Med, for a snack he wanted Dewar's ice cream and for dinner he wanted chili verde from Home Depot. Now I feel honored my chili verde was chosen for a man's dying wish... I am truly honored." * ... DID YOU KNOW? 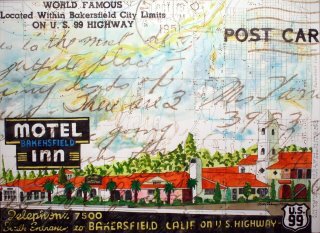 Did you know that members of the Kern County Union High School class of 1938 meets regularly at Woolgrowers? That's a lot of memories to share. * ... BABY ON BOARD: Congratulations to Melissa (Lissa) Dignan, the former KERO TV weather forecaster who recently learned she is pregnant with her first child. Dignan is married to Brian Dignan, who is a coach with the Bakersfield Jam. Lissa said the baby is due in November. Always the animal lover, Lissa said the baby will have a "big sister" in her beloved weather dog Shelby. 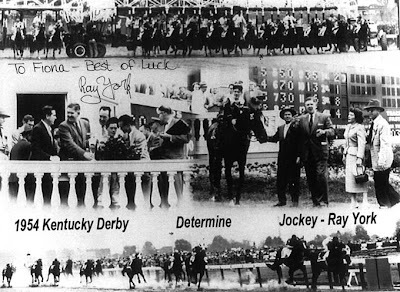 * ... RAY YORK: It's not every day that you meet a former jockey who rode to victory in the Kentucky Derby. But that's what happened to Sheri Horn Bunk, head of the Taft College Foundation, when she found herself talking to the great Ray York the other day. Bunk met York through Taft businessman Bob Hampton. Turns out York, who rode Determine to victory in the 1954 Kentucky Derby, lives on a horse ranch off Highway 119. Always the promoter, Horn won a commitment from York that he would attend North Rotary's annual fund raiser on April 13 at Seven Oaks Country Club, appropriately named "Dinner at the Derby." If anyone is interested in tickets, call Linda Pounds at (661) 619-3344. * ... CULTURE SHOCK: We are all used to seeing tumbleweeds blowing about during our windstorms, but not everyone is so amused. 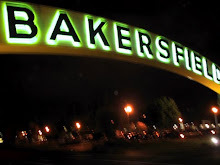 Consider this note from reader Carl R. Moreland: "My wife Mary and I were driving down Panorama Drive toward downtown Mexicali with our 10 year old twin grandchildren, Bryn and Thalia, who were visiting from Walnut Creek. At the turn near Garces, all of a sudden one of them became very excited and shouted: 'Look at the big brown balls!' Both girls were amazed at the sight. We finally realized that they were watching tumbleweeds rolling down the street. 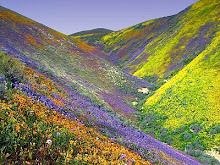 Very unlike the Bay Area." * ... FIRST FRIDAY: Make sure you remember for another First Friday this week when the weather promises to be perfect for an evening downtown. I rarely miss this monthly celebration of downtown, and if you haven't been, here's my recommendation for a perfect evening: start with dinner at one of our downtown restaurants. I prefer Uricchio's Trattoria, where you are always greeted with a smile and treated to an excellent Italian meal at reasonable prices. Then stroll the streets in the arts district and enjoy the street musicians and crafts displays, and stop by the antique and specialty stores in the 19th Street corridor. 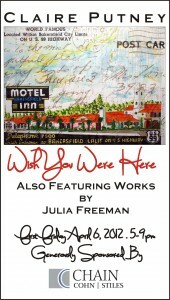 Don't forget The Metro Galleries on 19th Street, where owner Don Martin will be featuring there works of local artist Claire Putney in a show titled "Wish you Were Here." 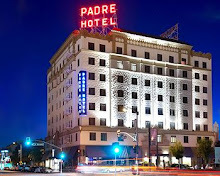 (The show is sponsored by the law firm of Chain, Cohn, Stiles) And finally, grab a nightcap at The Padre, the Alley Cat or even the bar at Uricchio's to end the evening. * ... PAJAMAS: A reader dropped me a note to ask if I could "stand one more chapter in the nightwear saga," to which I replied, why of course! So here it is: "Many years ago my sister-in-law and her daughters, who were chronically late, were rushing off to West High in an effort not to be late again. Unfortunately, my sister-in-law was wearing a see-through baby doll shorty nightgown when she ran out of gas on the way home. This was pre-cell phone days and needless to say, whomever she got to stop to help her got an eye-full. Too, too embarrassing. * ... SPOTTED: Teresa Hammett submits this example of having a good neighbor: "Sighted, (on more than one occassion), a mature gentleman walking his black and white dog in the lower Country Club neighborhood of East Bakersfield. This responsible citizen enjoys a good walk with his dog and keeps a grocery bag handy for any trash he sees. I don't know his name or where he lives but I just wanted him to know that his neighborhood walk and litter patrol is much appreciated by his neighbors." * ... CHALET BASQUE: The son of J.B. and Marie Curutchague, former owners of the Chalet Basque, dropped me a note on behalf of his parents to thank their customers all through the years. Christian Curutchague says his father is suffering from a rare disease that has symptoms of both Alzheimer's an Parkinson's, but he is alert enough to remember his years at Chalet Basque. "If you ask them what they miss most about the restaurant business, they will always respond, 'we miss all the wonderful customers we grew to know and love throughout the community and beyond.' Today they look forward to when dad has a good day." 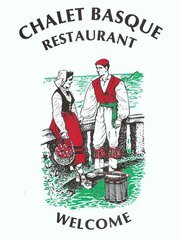 When a reader mentioned Chalet Basque in this blog, Christian said it triggered a "bombardment of phone calls from former employees, family and friends. You can’t imagine the joy and happiness my parents felt and will continue to feel." 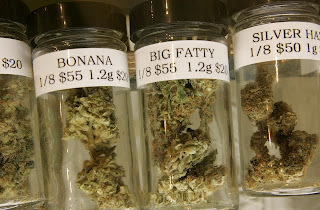 * ... CANNABIS: The debate over medical marijuana is showing now signs of abating, and Kern County voters will likely be deciding its fate at the ballot box. Law enforcement generally hates it, believing that cannabis storefronts attract crime, but others believe it's time to accept it for its medicinal attributes. On Monday at 9 a.m., join me on Californian Radio KERN 1180 when I will be speaking with Jeff Jarvis, one of more vocal proponents of medical cannabis, who will give us his perspective on the debate. * .... PAJAMAS: Pat Gracey of Tehahapi doesn't really care if folks wear pajamas when they take their children to school, but she does add this caveat. "In 1943 my mother took my father to work at 6 a.m. and was wearing her white chinelle house coat (robe). Innocent enough until another lady, also in said nightwear rear ended our 1937 Lincoln Zephyr on Chester Avenue. Only the bumpers were entangled and both ladies were, in their nightdress, out jumping on the bumpers trying to disentangle them. A man came by and completed the task for them. With that picture in mind, I never drive a 'foot' or a 'mile' without being completely dressed." * ... SPOTTED: Friend Pete Wonderly posted this on his Facebook page: "To the woman driving slowly and erratically on 178, while eating a hamburger and texting: Jesus loves you - but I sure don't." 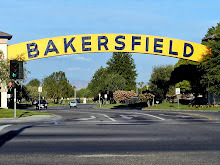 * ... JAMES MCKINNEY: If you are a Bakersfield old timer you no doubt know the story of James McKinney, the outlaw who shot and killed two law enforcement officers in downtown Bakersfield back in 1903. Reader Linda Polston wrote to say that it was her great uncle, John Kelly, who helped organize the posse that tracked down McKinney at the old Chinese Joss house. McKinney was killed but not before he took down Deputy Sheriff Will Tibbett and Constable Jeff Packard.